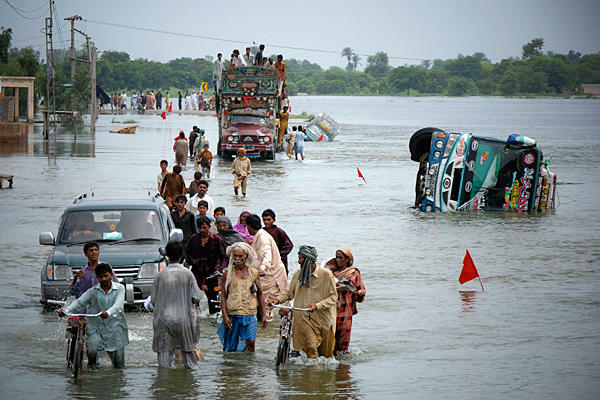 In The Worst Floods of Pakistani History that are not ended yet and everyday effecting New Areas of South Pakistan different Private organizations are playing Vital role in Relief and Rescue activities. Some of the leading names in these Private Organizations that are working the most in Flood effected areas are Al Khidmat of Jamat Islami, Falah Insaniyat of Jamat ud dawa and Imran Khan's Pukaar Organization. 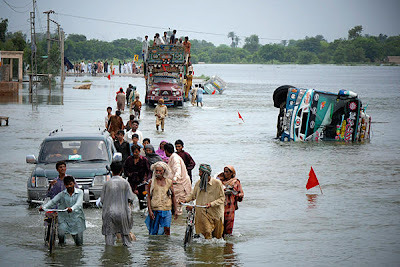 People of Pakistan are also trying to Donate Maximum for their Flood effected Brothers and sisters. Imran Khan told in a Interview that his organization alone has received 20 Crore Rupees in Last Five days. He said People of Pakistan are helping their Brother with open hearts. Imran Khan said Pakistan is not receiving much Donations from Outside World due to Corrupt Image of Zardari Government. He said no one trusts our Government and World thinks that Pakistani Government will itself eat if they given any Aid to Pakistan. Religious Organizations like Jamat Islami and Jamat ud Dawa has also played a very Vital role in Relief Activities. These Organizations are giving Food to Millions of People Several Times day.